Where? Florida International School in Siem Reap, Cambodia. When? March 2016. What? 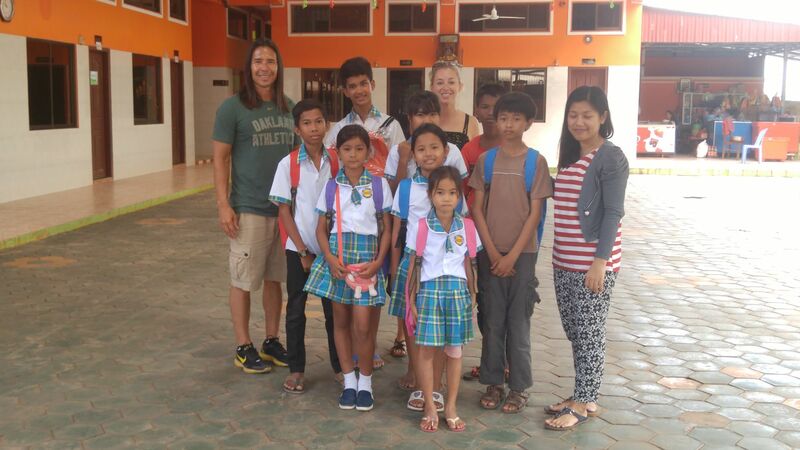 Friend of FSP, Lauren, visits the site of our Giving Orphans Education project. 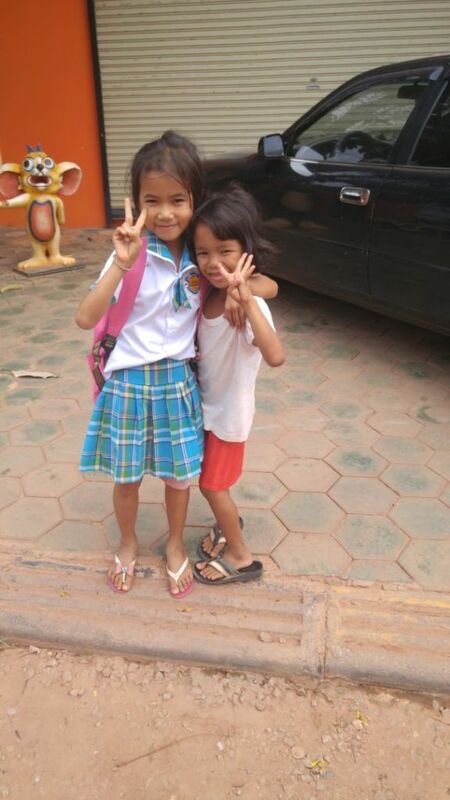 Below is Lauren’s account of her recent trip to visit our children enrolled at Florida International School in Siem Reap. I met Tim a year or so before he decided to leave for Southeast Asia. I remember distinctly sitting in Concourse E at the Atlanta Airport (where we worked), having an in-depth conversation about the beginning stages of his travel plans. Having returned from living in Brazil for two years a year prior, I was ecstatic that he was thinking of going on an international journey. Shortly after that day in 2010, we both moved on from our jobs there and went very separate directions. Thanks to social media however, I was able to see his journeys throughout Southeast Asia, and I was honestly proud and in awe. He did not come back after a week or two. On the other hand, It seemed liked he was always there! Stories would come up in my news feed with photos from exotic places I had never seen. I was only a ton jealous. I did take special notice though when he began posting about an organization which he started. Photos of him and others bringing supplies, food, and hugs to people in various places in Southeast Asia. It was beautiful to see the transformation from when I had known him years before, having never done anything like that. It is amazing what travel can do. Now let’s fast forward to 2016. My now fiancé and I were finalizing the details together for our three week journey to Thailand, Malaysia, and Cambodia. After seeing Tim’s posts for years, I messaged him and asked if there was anything I could do to help. He said that there was an English school where he sponsors kids so they can attend in Siem Reap, Cambodia. 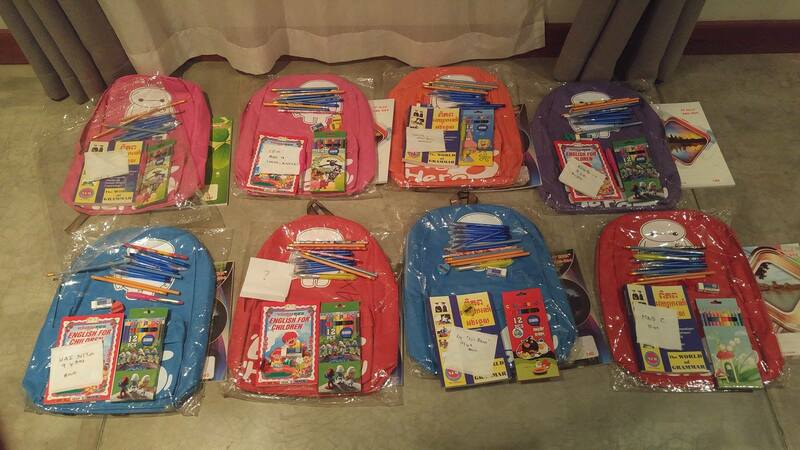 The group of eight kids could use some school supplies and chat with someone in English. Being the final destination of our trip, I thought it was a near perfect way in which to end our adventure. What could be better than giving back to people in need, especially after spending a great deal of time and money of tours, food/drinks, and foreign trinkets? After touring the ruins of Angkor Wat, our loyal tuk-tuk driver took us to a street market “where the locals go” and he helped us negotiate 8 identical backpacks, which only varied in color. Later that night, we stopped a local school supplies and book shop, where I had to the majority of my shopping via flashlight, as the power had given out. The humidity and lack of air conditioning had us pouring sweat, but I was able to pick out a variety of English books, paper, pens, erasers, notebooks, and pencil sharpeners. We were ready! The next morning at 8:00 am, our tuk-tuk friend Saran (who is now my Facebook friend,) was waiting for us outside our hotel. He took us off the main tourist road, and within five minutes it was us and locals. Great! Upon arriving at the school, we were greeted before we walked in the gates by their teacher and the kids. All of the kids politely shook hands with me and introduced themselves. We proceeded to a main office room, where I immediately gave out their supplies. The beautiful thing about the experience was how appreciative and respectful all the kids were. Not one kid saying they didn’t like the color of their bag or didn’t like what they received inside their backpack. Every child had a smile on their face and said thank you. 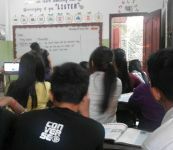 After talking for a bit, I could see that the kids who were politely sitting in their chairs, were getting a little antsy. I suggested they give me a tour of their classrooms. As we went around to the different classes (who were named after countries in Europe,) the kids were excited to show us in which classroom they studied, as well as their desk. Their little eyes lit up when they got to show us “their spot” and the decorations in their classroom. Soon after, we said our goodbyes and the kids scattered to enjoy the rest of their Sunday. The experience with the kids was fulfilling, yet bittersweet. It is amazing to think of what many people (myself included) take for granted, and how these kids were innocently happy with so little. It was also wonderful to actually see the positive effects of the goodwill of others in these kid’s lives. They come from very poor families, therefor rely on sponsorships just to go to school. For me, it made something I have seen from afar into a reality. I have full confidence of this organization and their mission to help others. I experienced the immense positive outcomes resulted from giving people donating what they would spend on a night out any given weekend to a kid who will now benefit from education. I learned that with pitching in a little, others are given the opportunity to better their lives immensely.